Meriwether Lewis and William Clark stumbled onto something when they entered what is now called Montana on April 27, 1805. Yes, the very same Lewis and Clark who led the first expedition to cross the western part of the United States and stood upon “Lookout Rock” to take in the sheer expanse and breathtaking beauty of Montana. 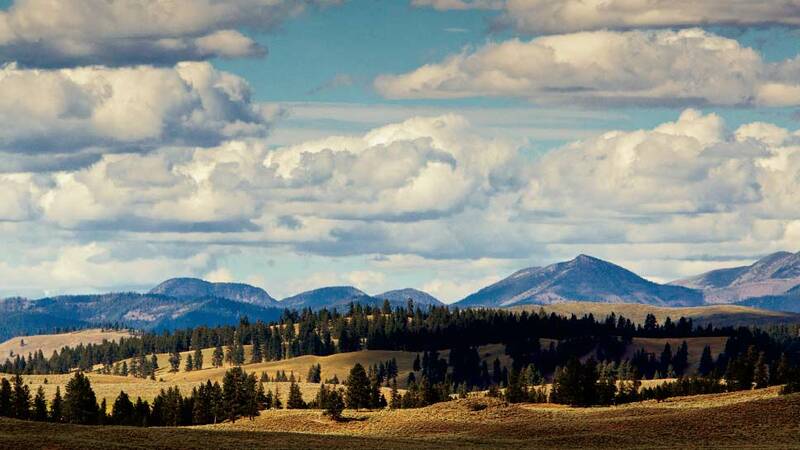 It’s no coincidence that The Resort at Paws Up settled in this same place to establish its ranch on 37,000 acres of the very same unspoiled Montana wilderness that captivated Lewis and Clark. You’ll be happy, too, and find it hard to leave. 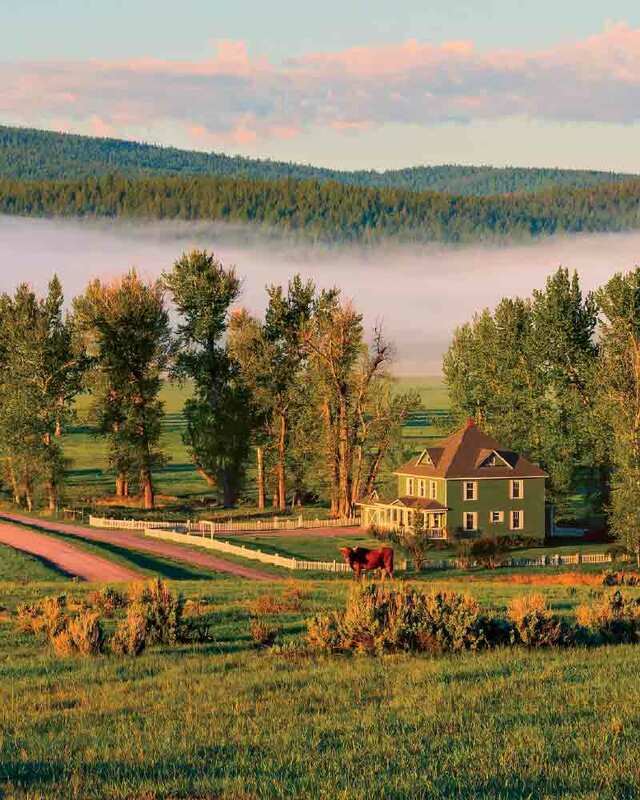 One of the first things you receive at check-in—which takes place at the aptly named Lewis & Clark Reception Barn—is a set of keys to your own car to use around the ranch’s property. Remember, the ranch is a sprawling 37,000 acres, so most activities and venues are not within walking distance to one another. You’ll be glad they’re not because it only enhances the opportunity to connect with the vast and beautiful Montana sky. Luxury Homes—aka huge log cabins, named after some aspect of the Lewis and Clark expedition, such as Sage Thrasher and Cackling Goose. Each home offers all the creature comforts of a five-star hotel (think 300-thread-count sheets and sumptuous hot tubs under the stars) in a rugged and refined luxury home. Nestled in a forest of tall timbers that overlook rolling meadows, majestic rivers, pastoral creeks, and panoramic mountain scapes. Safari-style Tents—aka glamping and The American Safari™, allow you to get close to nature in your perfectly appointed tent (think hardwood floors, fine linens, air conditioning, and heat, plus a private, en-suite bath with heated slate floors, stylish vanities, and Montana-size showers). 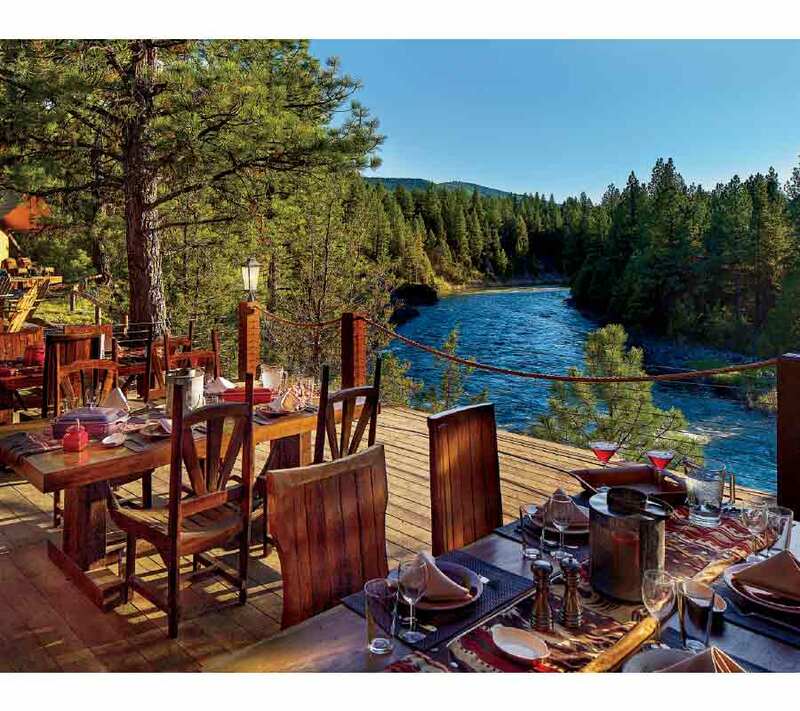 Revel in a serene and authentic experience with the sound of the river rushing by and an open-air dining pavilion complete with roaring fireplace and a bonfire pit for s’mores and star gazing after dinner. Camps span different areas of the resort, from Creekside Camp, along a creek; Moonlight Camp, at the foot of the Lewis and Clark’s famous Lookout Rock; and River Camp, on the banks of the Blackfoot River. Once checked in, you’ll be tempted to stay put and relax in your private oasis, but you’ll want to check your app to see what’s next on your itinerary. Then, grab your map and car keys, and set out for the Wilderness Outpost—a huge barn-like structure that serves as a base camp of sorts and houses the resort’s large, high-end gift shop. All activities (except spa treatments and yoga, which take place at Spa Town) start and end here, where you’ll check in, get instructions and gear, and then head out with your highly capable and friendly guide or two. The vast resort property offers 100 miles of trails, 10 miles of the Blackfoot River, and 1.5 million acres of the nearby Bob Marshall Wilderness Area to make for the ultimate outdoor playground with options to suit any age, gender, risk-appetite, and adventurous spirit. 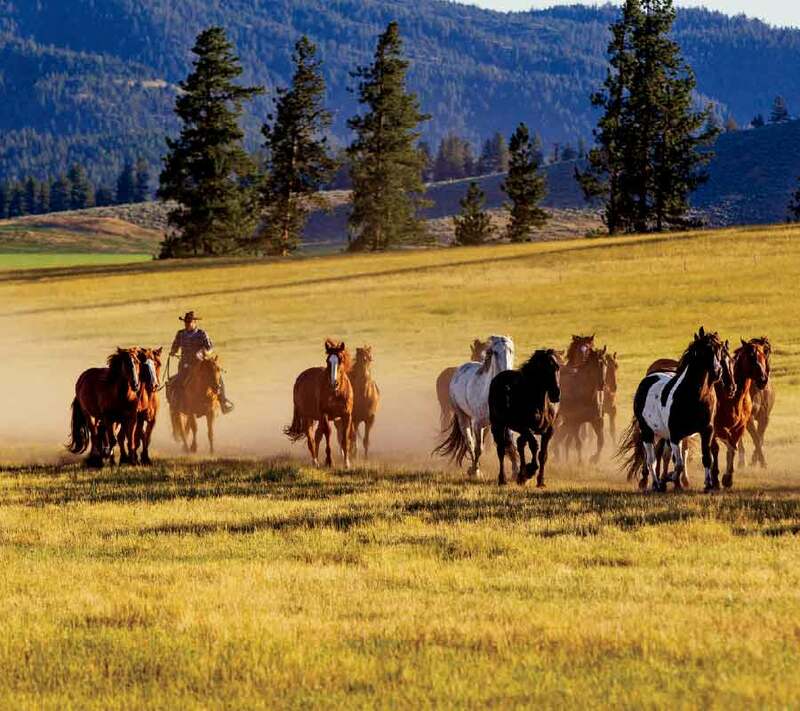 Equestrian Adventures—Saddle up to experience the ultimate western experience of a Cattle Drive, where you’ll set out to gather the cattle and trail them to the working corrals, sort some cattle, then trail them back to the home pasture. It’s the real deal, and both skilled and novice riders can join experienced ranch hands in driving a herd of cattle for an experience of a lifetime. Or, perhaps you’re more in the mood for guided horseback riding along pristine meadows and along trails forested with ancient Ponderosa pines as you rise to a ridge overlooking Paws Up ranch. Fly Fishing—The Resort at Paws Up is an angler’s retreat that’s located within the golden triangle of western trout fishing. It boasts a creel-full of legendary rivers on property or near-by—including the Blackfoot, Bitterroot, Missouri, and Clark Fork. River Trips—Choose from three types of river trips for all levels of adventure. For a leisurely, calmer trek, the Clearwater River Canoe Trip offers fun for all ages. Those wanting a bit more excitement can float down the Blackfoot River and its class I and II rapids in a raft or inflatable kayak. And for those wanting the ultimate thrill, opt for the Alberton Gorge Whitewater Rafting, a full day adventure featuring class III+ rapids. 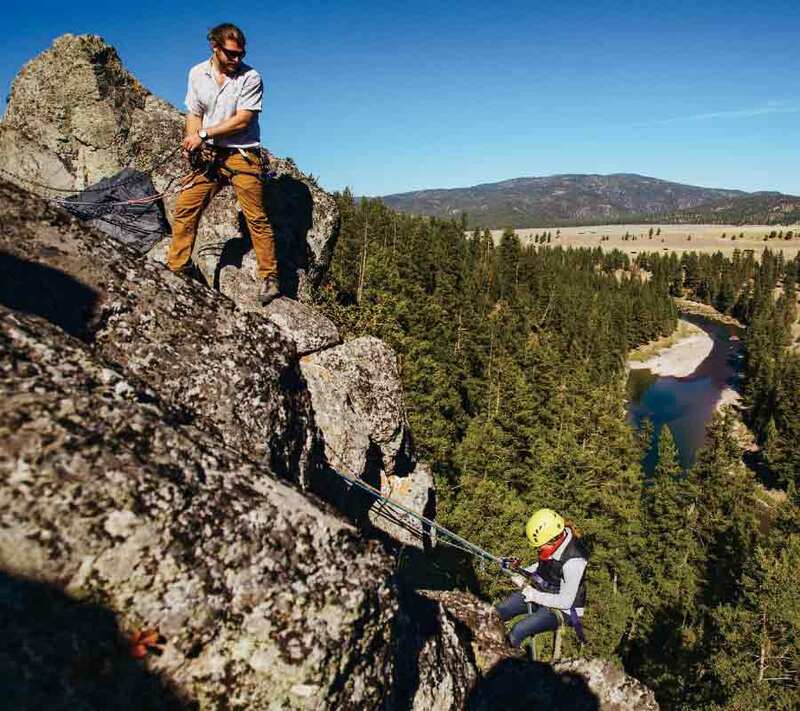 Rock Repelling—You’ll begin your Montana rappelling atop the famed Lookout Rock, where Meriwether Lewis once stood. After pausing for a moment to admire the stunning views, including the majestic Blackfoot River below, you’ll lower yourself by rope down the sheer 167-foot rock face. Of course, the resort has all the gear necessary to make your descent as safe and secure as it is thrilling, with well-trained Paws Up guides attending to your every need. ATV Tour—Mount your own motor-powered all-terrain vehicle, and then scale mountains, slice through streams, power through brush, and even cruise through a ghost town. The backdrop is gorgeous, the pace is moderate, and the exhilaration is unforgettable. There are even more activities available to satisfy any adventure appetite. Take your best shot at a world-class sporting clays course, take a guided hike, engage in some paintball, visit the historic (and best persevered boom town), Garnet Ghost Town, take a mountain bike ride, or try out the new Sky Line Aerial Adventure Park high-ropes course. 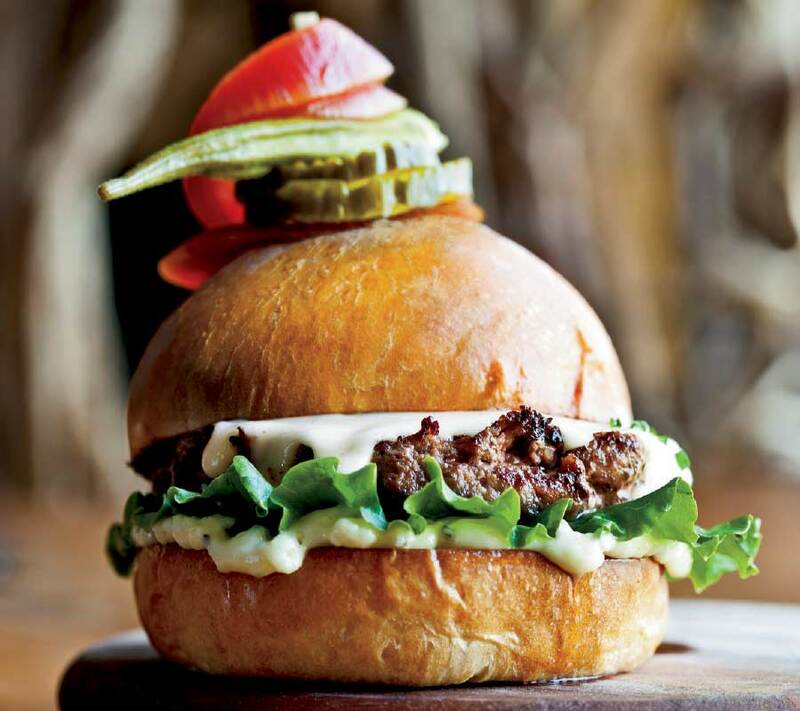 With all this activity, you’ll definitely work up a rancher’s appetite. Paws Up offers a variety of dining styles and fares. Trough Restaurant is a casual gathering place offering breakfast and lunch and serving meals with a Western flair. Home-cooked flavors mingle with traditional offerings for a rustic, yet refined palette. Not to miss are the locally picked huckleberry pancakes and house made cookies served daily. Pomp Restaurant offers fine dining described as refined rustic ranch, such as fresh Rocky Mountain trout sautéed with herbs and paired with an exquisite Napa Valley Chardonnay. Tank is a full service bar with roaring fire, board games, and walls of windows for a spectacular view. Camp Dining is available if you are staying at one of the Safari camps. S’Mores are legendary at Paws Up, so gather round the fireplace at Tank or a fire pit outside to learn how to make the perfect s’more from resident S’moreologist, Conor Dannis.